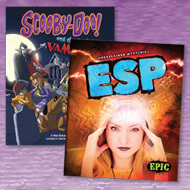 Vampires, zombies, werewolves, witches, and other familiar topics are covered yet again in this season’s selections. 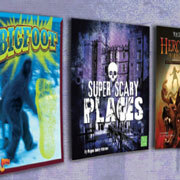 mythology and paranormal series. Sensational appeal is reflected in gory picture choices and in the phrasing of titles. Several series play on the idea of mystery, both in their titles and in posing a central question: Might these creatures or events be real or have existed in some earlier time? 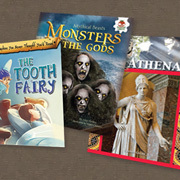 This season’s offerings of classical mythology and modern legends present a broad array of topics: Greek and Roman gods, zombies and werewolves, witches and oracles, extraterrestrial beings, and more. 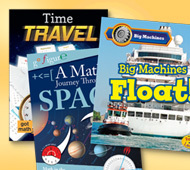 There’s plenty of food for thought here for readers with a STEM bent, from information on loud, fast vehicles to the invention of tools to contemporary computer technology.